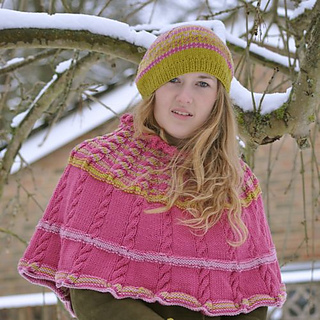 The Bessie May Smitsy Twist Poncho, with beautiful coloured twists snuggling around the neck and shoulders. 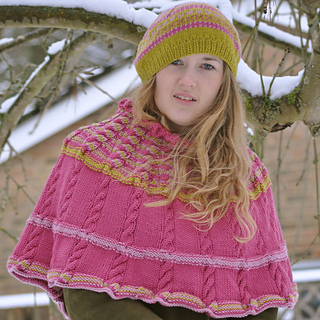 Growing cables and poncho stripes extend the warmth down the yoke, with coloured framing around the base. Knitted in the round, with increasing cables and colour changing. Great project for trying cable shaping and colour changing in the round.